MET’s MD Peter Evans is a firm believer in supporting sportspersons and teams. We sponsor table tennis champions Paul Drinkhall, Charlotte Carey and Denise Payet and former welterweight champion Sam Eggington. We also provide transport for sports teams like Saracens and Barnet FC. We’re happy to say that some of our favourite teams had good results in their matches over the weekend. Wealdstone FC, Merthyr Town FC and Saracens all drew in their recent matches. Hemel Hempstead FC and Hayes FC won their games and Hayes is now at the top of the Isthmian League South Central Division league table! 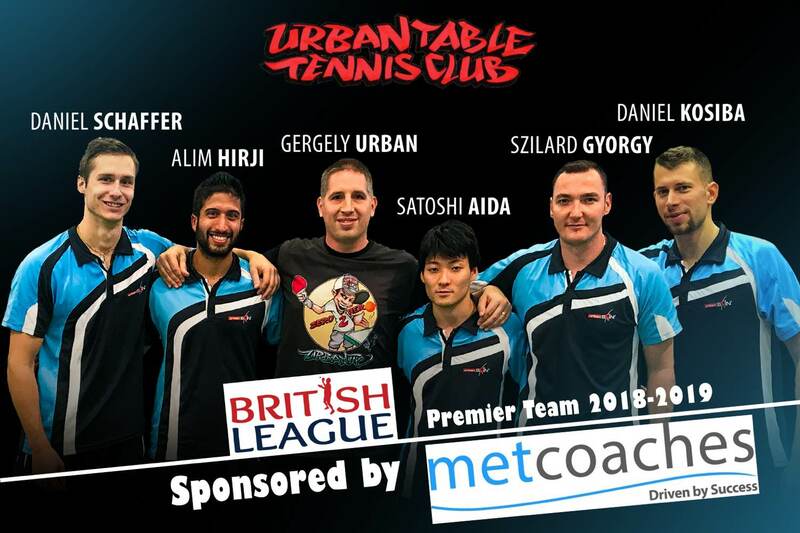 In other news, Peter Evans is good friends with Gergely ‘URFI’ Urban, a fantastic Hungarian table tennis player who revolutionised the sport when he came to England over 15 years ago. Urban is the coach to five of the top 20 juniors in the country. This includes Denise Payet, who at 17 is ranked 3rd in England. On 03 November, his team, Urban Table Tennis, won 3-2 in a tight and exciting game. Their next game is on 12 January 2019 in Barnet. We’re all extremely proud of how well they’re doing and all of their achievements so far. Our MD believes that Urban Table Tennis (another recipient of his sponsorship) deserve a better facility to practice and play in. We want to know if there is anyone out there who can offer them better facilities or help to fund his projects. It would be much appreciated by us, Gergely Urban and his team. Please contact us at info@metcoaches.co.uk if you have any information that could help us in our search or if you can provide UTT with a new facility and funding.